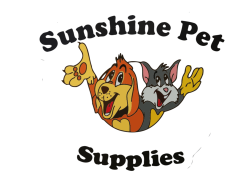 Sunshine Pet Supplies started in 1989 in Sechelt B.C. A very traditional pet food store at first, we sold all the basics or staples of the pet food industry at the time. Foods like Iams, Eukanuba, Science Diet and Nutro were our retail products. We had very limited knowledge of the Pet food industry and gladly took advice from our sales reps on which products we should carry. Pretty much right away we started to notice that our customers pets seemed to have reoccurring problems. Things like constantly shaking their heads, licking and chewing their paws, biting the base of the tails etc.. At first we thought it was a reaction to the fleas which are very common on the Sunshine Coast but these symptoms did not go away in the winter when fleas are not usually around. Once in a while we would get in a customer who fed a raw diet to their dog or cat and I remember asking why and what benefits their was. Their dog never seemed to have any of the issues that was stated above, their energy level was exceptional, stool size non existent and to top it off thier skin and coat were amazing! These customers told me pretty much that i was poisoning peoples pets with the food that I was selling and if I was not selling raw, then I should be selling better dry food! I started to take their advice and look into the products that I was selling and what an eyeopener! Almost all of them contained By-products, Bad Fats, Separated grains etc... It seemed like they put more money into their packaging, advertising, and marketing, than they did the actual food. The real sad truth is that there was so little choices when it came down to "healthy pet food" we were getting very disheartened to going about our daily business. Some of the rules are more important than others and are just another safety measure to ensure a good quality pet food. 2. No Seperated grains: When you seperate a grain, you leech much of the value out the grains, also allowing for the grain to be used a protein(Wheat, Corn Gluten etc..) The 2007 recall was caused by the use of wheat gluten. 3. No Bad fats, no bad preservatives: Bad Fats are fats where the source of the animal is unknown ie(animal fat, poultry fat) Bad prservatives are BHA, BHT, Ethoxiquin, Propylene Glycol to name a few. To learn more about these just google their respective names. 4. The 1st ingredient should be a good quality, protein specific meal: Meal is meat after the water has been cooked away. Foods that say Chicken or Lamb, Beef etc without meal have been weighed before the water being removed given the appearance of more meat which in fact is incorrect.